You already know how important sleep is to a healthy lifestyle. If you haven't gotten a good night's sleep, you feel it in your bones, in your energy levels and even focus. But did you know that you are more hungry and less satiated when you haven't slept well? Basically food just doesn't satisfy as it should, and you end up eating more than you would. Poor sleep quality has been linked to an increase risk of obesity, and it's all about the hormones. 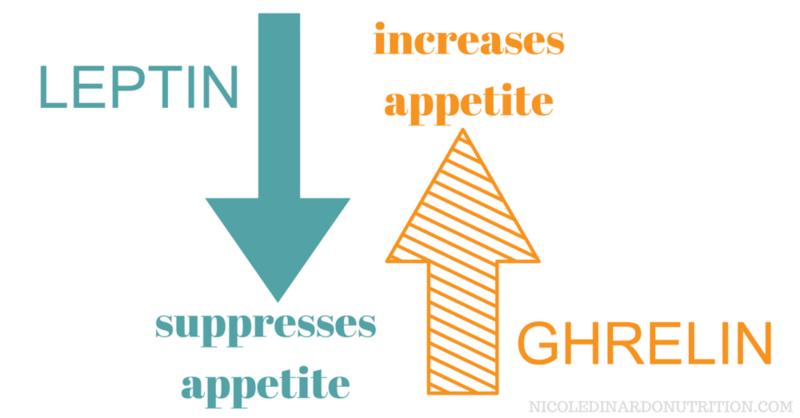 There are two hormones that regulate hunger and appetite: Ghrelin and Leptin. When you've had restful and adequate sleep, the hormone Leptin is increased which sends a signal to your brain that you are full after eating. This hormone has an inverse relationship with Ghrelin. When sleep is inadequate or not deep enough, ghrelin is produced in higher amounts which creates an insatiable hunger. If you have restless sleep and find yourself always hungry, this may be the reason. How to Know if your Sleep is Adequate? Do you wake up still feeling tired and unrested? Do you get less than 7 hours of sleep? Do you wake up in the middle of the night, even to urinate? Does it take you longer than 30 min to fall asleep? Does your Fitbit show fragmented sleep patterns? If you've answered yes to 1 or several of these questions, you're likely not getting adequate sleep. There are a number of useful herbs, supplements and lifestyle changes that can increase your sleep quality that are non-habit forming. Here is a list of my favorites. MAGNESIUM: This important mineral is not only essential, but it is also found in low supply in North America. In fact, it is one of the top 3 commonly deficient nutrients. It also helps to relax the muscles of the body. This is why Epsom salt baths are so relaxing because it's 100% magnesium! Taking at least 400mg of magnesium before bed can help you get to sleep and stay asleep. And you're satisfying a nutritional requirement while you're at it. If you experience diarrhea, reduce the dose. VALERIAN ROOT: This time-tested natural remedy works like a charm. It has a hypnotic effect that makes you very sleepy, but is non-drowsy in the morning. It is also non-habit forming as it subtly increases the brain neurotransmitter GABA which has a calming effect. I recommend St. Francis Valerian Tincture for best results. LAVENDER OIL: Inhaling lavender oil has been shown to increase sleepiness and reduce consciousness in many studies. Along with it's anti-anxiety effects, this wonderful aroma can be used as part of your sleep regime by placing a diffuser beside your bed or spraying your pillow with a diluted solution in water. REDUCE CAFFEINE: Having more than one coffee in the morning can have a negative effect on your sleep patterns. It becomes a vicious cycle: lack of sleep, need caffeine to function, can't sleep the next night. Stopping this cycle in its tracks by limiting caffeine consumption is often an easy fix to sleep problems. 1-HOUR TECH FREE BEFORE BED: The blue light emitted from most of our beloved tech devices may be throwing off your body's natural sleep rhythm. Blue light is very stimulating and it can be difficult to re-adjust before bed. Create a tech-free zone in the bedroom and watch your sleep improve overnight. AVOID DRINKING WATER BEFORE BED: This one may seem obvious, but it's very common. If you drink a big glass of water or tea right before bed, you will inevitably wake up in the middle of the night to urinate. This may seem harmless, but if you are interrupting a deep and restful sleep cycle with something that can be avoided, why not avoid it? AVOID ALCOHOL OR SWEETS BEFORE BED: Some people may rely on a nightcap to get them to sleep as it can have a sedative effect. But the end result may be even worse. Alcohol can interrupt a normalized blood sugar and can cause spikes in the middle of the night, causing you to wake up. Sweets have the same effect, spiking your blood sugar before bed then causing the inevitable hypoglycemic crash at about 3-4am. You may not realize it, but that chocolatey sweet may be to blame for your restless sleep. BLACKOUT YOUR BEDROOM: Sleeping in a completely dark environment can improve the sleep cycle. Small flashing lights from, cell phones, modems, printers, alarm clocks or any other device can have a disruptive effect. Also, windows that let in street light will reduce sleep quality. JOURNAL: Many people blame ruminating thoughts as the cause of their restless sleep or insomnia. You may be running through your to-do list all night long, stressing over whether you will remember. If you write down your thoughts, to-do list for the next day or even journaling about a problem that may be occupying your mind, your brain no longer needs to ruminate on these issues. Doing this right before bed is the important part.